Last night (Sat. September 8, 2018) Dallas, Texas played host to the UFC 228 pay-per-view (PPV). 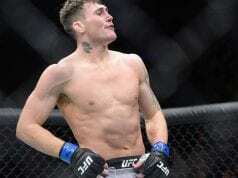 In the main event, Tyron Woodley defeated Darren Till to retain his welterweight championship. Woodley hit Till with a bomb in the second round that planted him down. After swarming on for ground-and-pound, several minutes later Woodley locked in a D’arce choke and forced the Englishman to tap out. Woodley was awarded his black belt in jiu-jitsu by his coaches afterward. 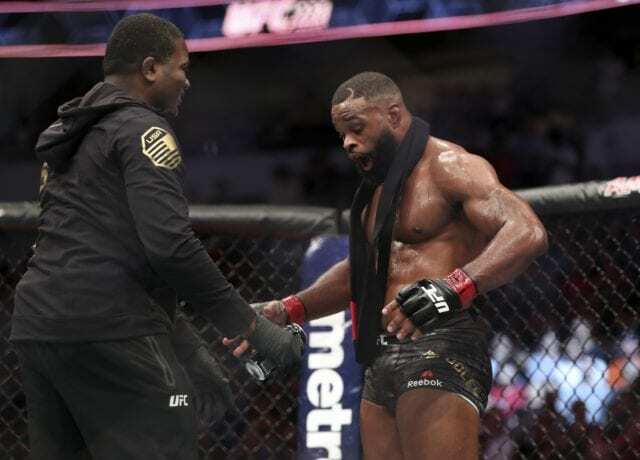 The mixed martial arts (MMA) world wasn’t surprised by Woodley’s victory, but how he pulled off the win was a bit unexpected. Congrats to @TWooodley !! Huge win!! @twooodley congrats well done job. I confess that I had darrentill2 but u prove me wrong. Congrats to the champ @TWooodley. Can you see him now? And still! Totally dominant performance from @TWooodley !!! You are the man. Made Till look like child’s play. Till next time #UFC228 Congrats Woodly ? ?